While gun control and the Second Amendment aren’t the main topics of discussion in the national media or at the federal government at the moment, state legislatures across the country are still busy passing gun control and gun reform measures of their own. The latest state to pass new gun legislation is Illinois. 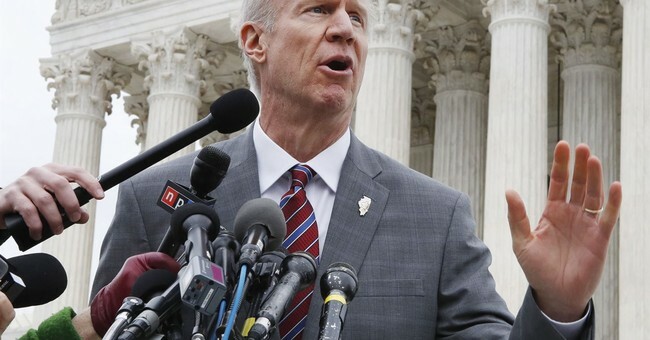 Governor Bruce Rauner, a Republican who is up for re-election this November, signed a “red flag” bill and another bill that creates a 72-hour waiting period for all firearm purchases. According to the Associated Press, the “red flag” law will allow family members of an individual or members of law enforcement to go before a judge and petition the court for an order that will temporarily confiscate the individual’s firearms, if they can prove the person poses a threat to him/herself or others. The order can last up to six months. Illinois joins several states across that country that have passed similar legislation. As Tom covered last week, the state of Texas may even consider a “red flag” law of its own. Red flag bills and bills that implement similar orders resulting in firearm confiscation, whether they be gun violence restraining orders (GVRO), extreme risk protection orders (ERPO), or risk protection orders (RPO), are gaining popularity. Members on both sides of the gun debate see these bills as a form of middle ground. Still, many gun owners are concerned that such laws will strip them of their Second Amendment rights without proper due process. As Tom reported earlier, New Jersey police officers tried to confiscate a veteran’s firearms without a warrant or due process. While concerns are justified, there are reports of “red flag” bills doing what they are intended to do. In April, the Broward County Sheriff’s Office in Florida confiscated the firearms of a man charged with attempted murder after he refused to turn them over. At the federal level, Senators Marco Rubio (R-FL), Bill Nelson (D-FL), and Jack Reed (D-RI) introduced their bipartisan Extreme Risk Protection Order and Violence Protection Act which would appropriate funds to states that are interested in passing similar bills. Senators Lindsey Graham (R-SC) and Richard Blumenthal (R-CT) have also introduced a bipartisan bill that would implement a “red flag” bill that would apply nationwide.